Beauty Heaven, an Australian platform for product tests and reviews, has tested pjur med PREMIUM glide. The result: 5 out of 5 possible stars. 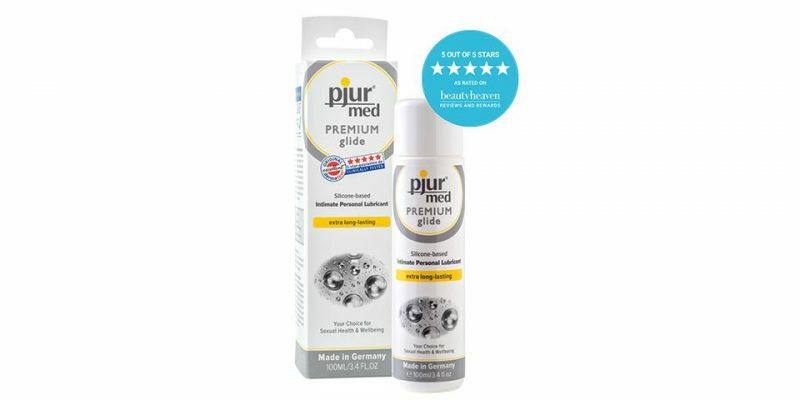 In particular, the testers pointed out that pjur med PREMIUM glide leaves the skin feeling great: “This is the first silicone-based personal lubricant that I’ve ever tested, so I wasn’t sure what to expect. It’s neither ‘wet’ nor sticky – which is the case with many other personal lubricants. It just feels marvelous. ‘Silky’ and ‘velvety’ are the adjectives that best describe this product”, confirmed, for instance, nataliadimi.